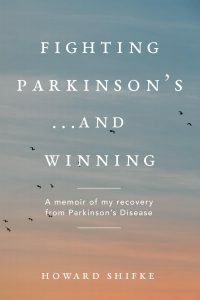 ← Fighting Parkinson’s, and being in the present moment RIGHT NOW! Today I am posting my third video in my Parkinson’s Disease Symptoms Relief video series. The video focuses on strengthening your voice and improving articulation so you can face the world with confidence. Many people with Parkinson’s find it difficult to go out in public or be in other social settings because they have a weak voice or feel like they are not able to correctly articulate their words. This is the worst feeling. It is important to be able to go out into the world with confidence and a fully articulate booming voice. It is one of the things by which others judge how you are doing, and nothing says “I am getting better” more clearly than your voice. 1. Inhale deeply, and on the exhale say aaaaaaaaaaaahhhhhhhhhhhh loudly for as long as possible. Repeat this 5 times in a row two or three times per day. This will shake phlegm loose and increase voice volume as well as raise your internal vibration. You can do this 1-3 times per day. These are exercises for the tongue, and they help with articulation. Okay. One last thing. I could not hear any of you. So, take a deep breath right now in the moment, and let me hear a big, booming aaaaaaaaaaaahhhhhhhhhhhh. Okay, okay, okay…I am hearing you now. Good for all of you. Wonderful Howard! It‘s really very important to follow this great advice as we experienced both situations, and of course with a good voice the social life is much better!! Thank you dear Howard! Thank you Howard ‘ these exercises are so valuable..